There are lots of strong rumors that next week starting 7/25 Harris Teeter will have a triples event. To be honest I do not have an official word on this event, and in the past 3 years Harris Teeter has never run a July couponing event… but I’m always up for being prepared! This is a list of all the 50¢ coupons to 99¢ coupons that make for deals at Harris Teeter based on regular pricing. If this is truly going to happen look for an ad preview list posted Monday and a final unadvertised deals list posted Tuesday. 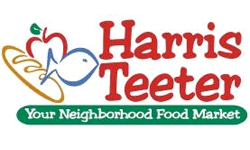 Harris Teeter will triple any coupon 99¢ or less. Up to 20 coupons per card per day.